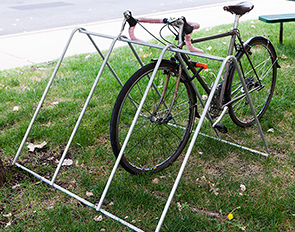 The Compack Rack is a portable, stackable and U-Lock compatible rack with an 8 bike capacity. Great for events where additional bicycle parking is required but not on a permanent basis. 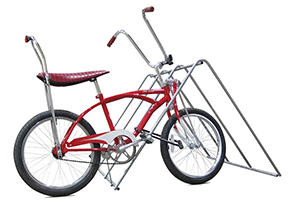 Featuring wide parking slots and a triangular frame shape, the Compack offers two way walk-in parking and is compatible with all types of bike locks. 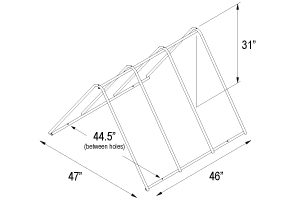 Versatile and strong, the all-steel bike rack is ready to use during seasonal peaks, stores away when not needed, designed to stack easily on a standard pallet.